The hockey world gathered this weekend in San Jose, CA for the annual NHL All-Star Game. There was a skills competition, and the game. But there were other highlights, according to sports humorist Jeff Wozer. • The Metropolitan Division is renamed the Non-Rural City Boy Division. • The first ever street hockey game on San Francisco’s famed Lombard Street called after 11 minutes due to all the street hockey balls rolling down the hill. • Buffalo News hockey writer Mike Harrington setting a record for most tweets in a NHL All-Star game – 173. • Game delayed for 19 minutes while officials searched for puck in Brent Burns’ beard. 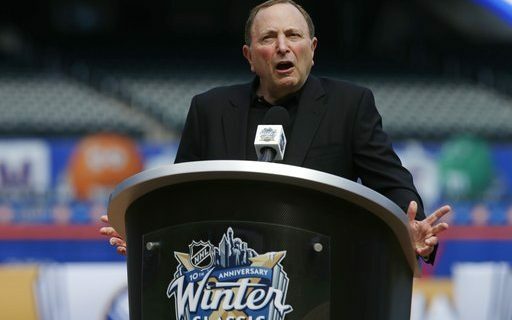 • Commissioner Bettman announcing the Stanley Cup is now dishwasher safe. • Brian Duff’s Bird Box Challenge while dining in a San Francisco sushi restaurant ending abruptly after eating three wine corks and a peppermill. • Commissioner Bettman giving NHL players the okay to participate in the 2020 Summer Olympics. • NHL announcing next year’s All-Star game will retain the 3-on-3 format but while a Zamboni circles the ice.